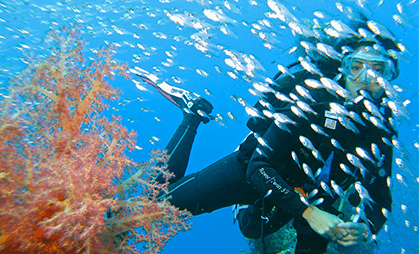 We are teaching a wide range of diving courses in various languages. From Bubblemaker for the youngest to Divemaster training for the ones who seek a career in diving. The centre is located directly on the beach of the 5 star Mövenpick Resort & Spa Tala Bay and was built according to the highest standards and is equipped with the latest diving equipment for up to 40 divers. Divers staying in other hotels will be picked up on a daily basis. 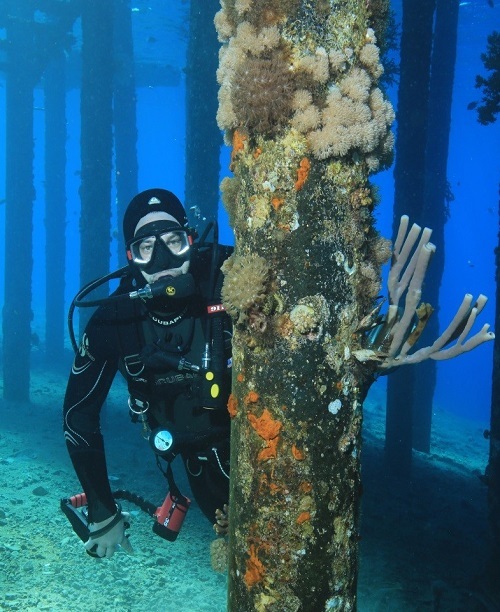 The Diving Centre Sinai Aqaba is lead by our Technical Manager Paul Rose and our Administrative Manager Svitlana Poliakova with the support of our international Instructors and Divemasters. 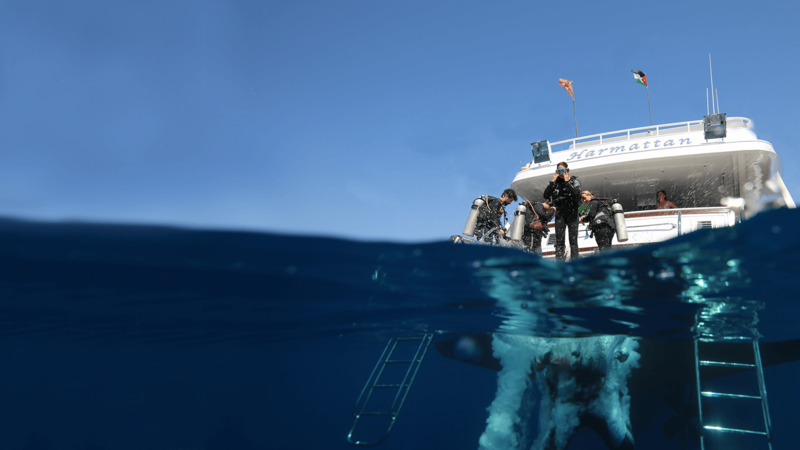 They will be helping you plan your trips and dives for the coming days, giving you information about diving and Aqaba. We have been in Aqaba since 2009, and we operate 4 dive centres in Jordan and Egypt.We are proud to welcome several happy divers every year. 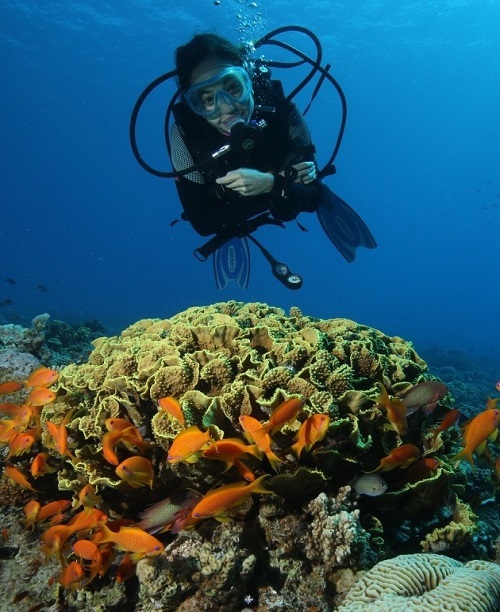 Why dive with Sinai Divers Aqaba? We’ve been delivering unforgettable experiences for over 40 years, making us one of the most experienced and trusted dive operators. 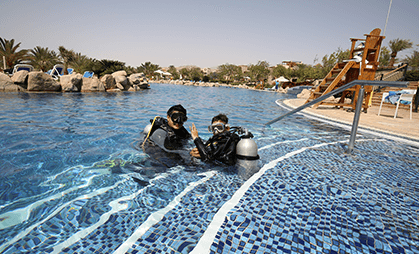 When you dive with Sinai Divers, you’re diving with established professionals. We are extremely passionate about diving, and we will always try to give the best dives of your life. Moreover, your safety and comfort are our biggest priority; they will never be compromised. Diving courses for all levels. Discover our beautiful house reef, famous for its moray eels and vibrant wildlife. 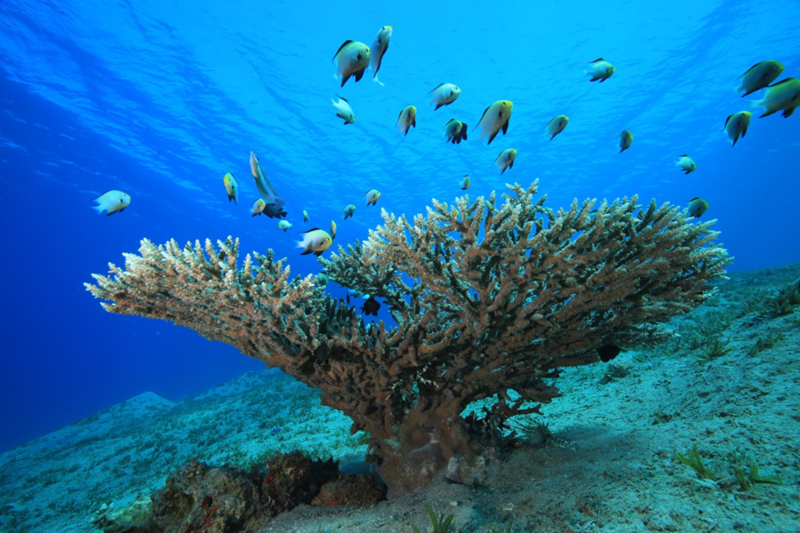 It is one of the most untouched sites of the Marine park of Aqaba with its very wealthy corals. Plus the entry and exit are very easy and diving there is always possible. 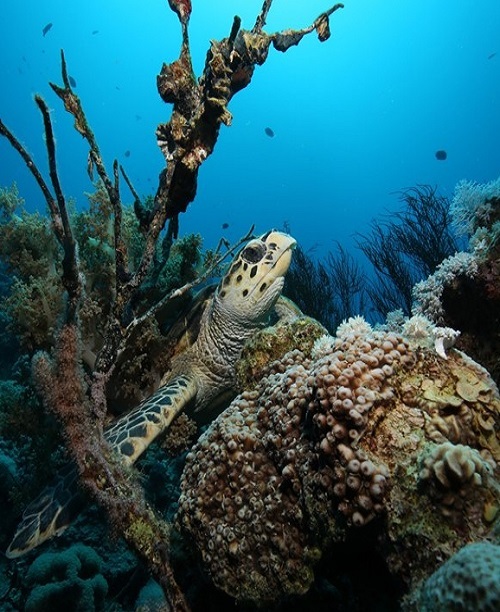 One of the best dive sites, very popular for its corals, perfect for snorkelers and divers. It offers one of the wealthiest and biggest varieties of table and stony corals! 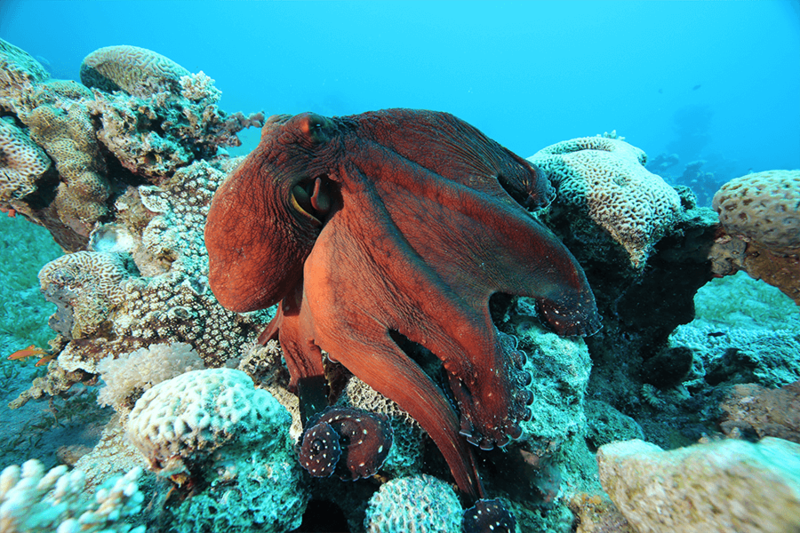 So wherever you are a diver or snorkeler, you will be amazed by the marine life there!! 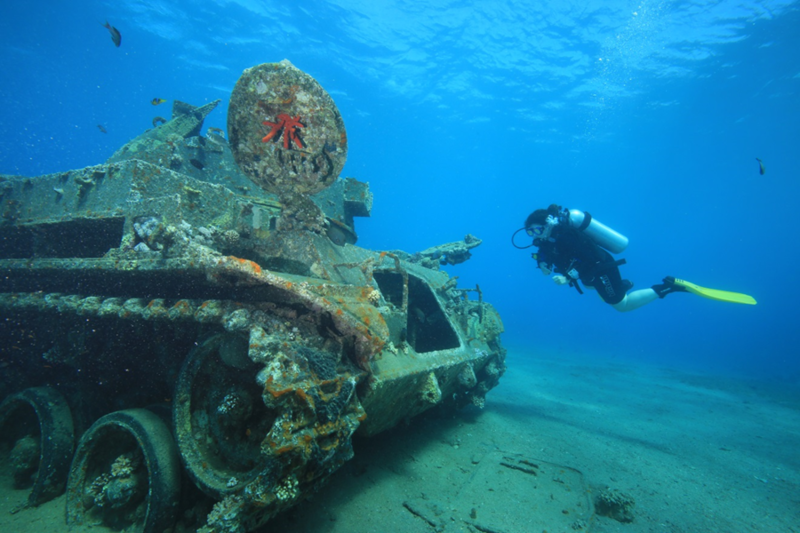 Explore the Seven sisters and finish your dive with a perfect safety stop next to the Tank. 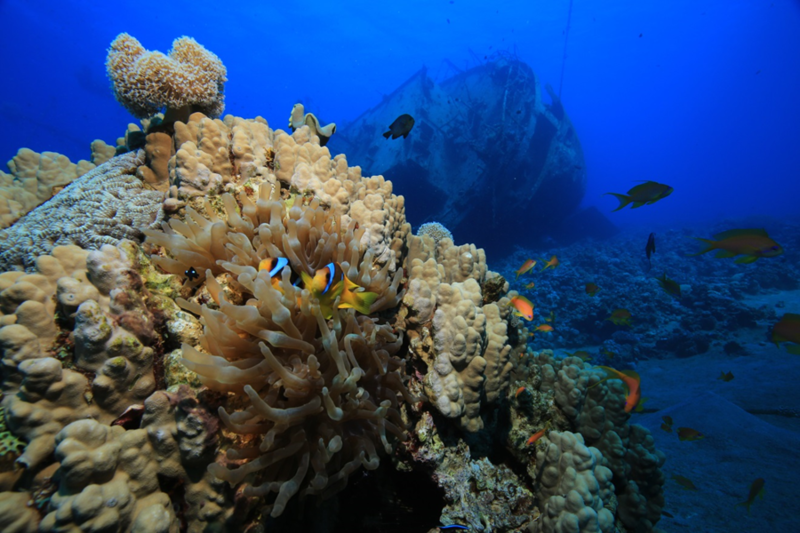 It is definitely a site not to be missed when you dive in Aqaba as it gathers both wreck and reef diving! 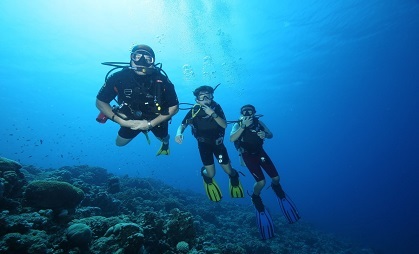 It is suitable for both divers and snorkelers with its very shallow and colorful reef. Discover our new wreck, the Hercules C-130, scuttled on the 16th of November 2017 in the south of the Seven Sisters and Tank. 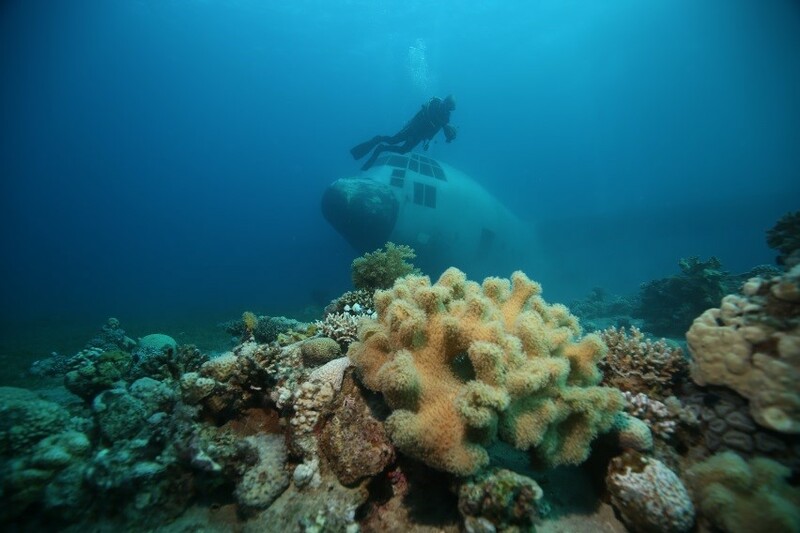 This plane will be very much appreciated by divers and snorkelers due to its very shallow depth. The Open Water course is the most popular beginner course and is designed to teach you all the necessary dive theory and diving skills to become a comfortable, safe and relaxed diver.It enables you to dive to a maximum depth of 18 meters with your dive buddy. sinai aqaba is an amazing place to be! Come & visit us!